The Green Energy Centre in Dorset’s famous Green Bus has announced new dates for their continued tour of the South. 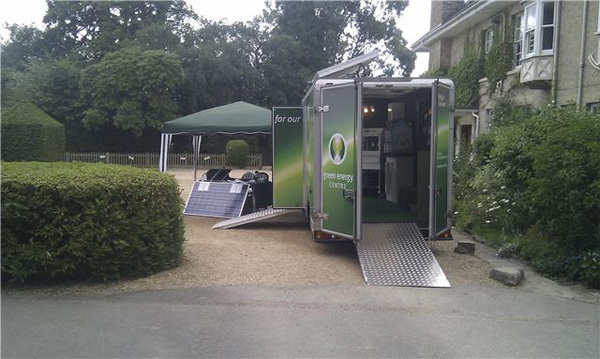 Having appeared at numerous shows including The Greener Living Show and following an immensely successful 2011, The Green Bus has recently embarked on an even more extensive tour of Dorset and Hampshire this year. 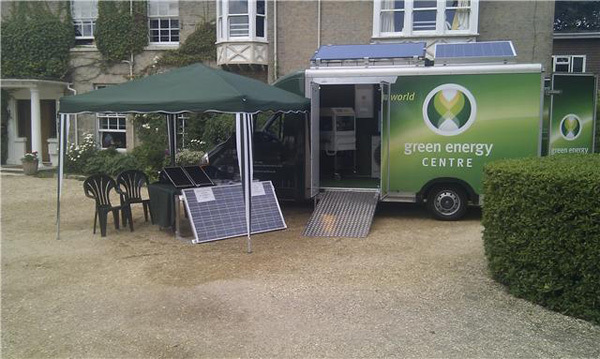 The Bus, a brainchild of Green Energy Centre – a part of The Warmer Group – in Dorset, allows people to discover the importance of green energy in a fun and informal way. The buses have been fully fitted out with green energy related equipment including ground source heat pumps, solar panels running live heating systems and energy saving lighting. Many others are constantly being added to this schedule along the way. The Green Bus will also be making a star appearance at this year’s Bournemouth Air Festival, as well as at the Alton and North East Hants Show. For more information, or if you’d like The Green Bus to visit your area, visit www.thewarmergroup.co.uk or call them on 01202 897273.